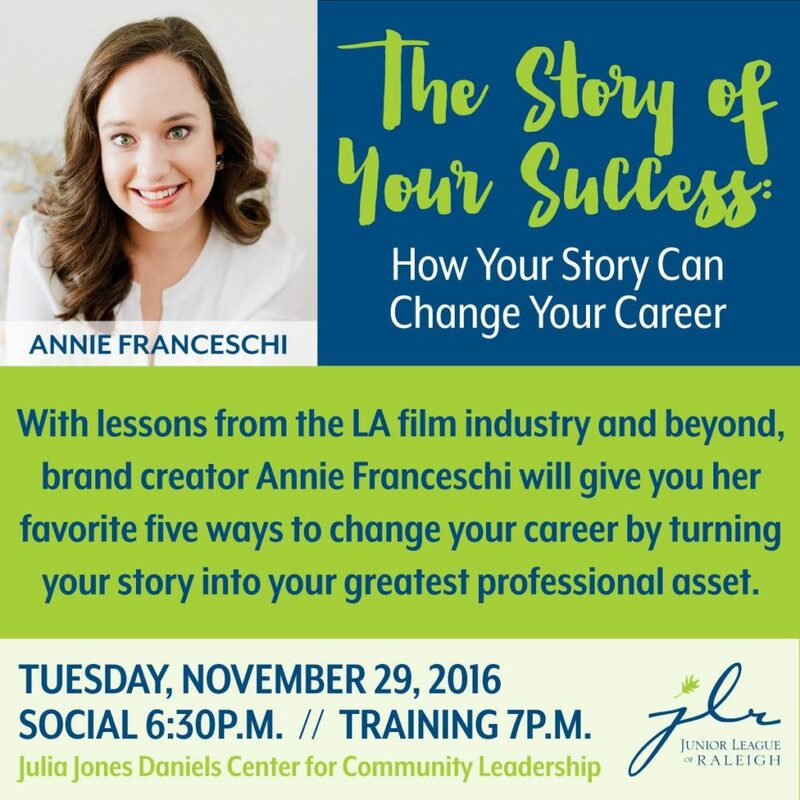 With lessons from the LA film industry and beyond, brand creator Annie Franceschi will give you her favorite five ways to change your career by turning your story into your greatest professional asset. Join us November 29 at 6:30 p.m. at the Julia Jones Daniels Center for Community Leadership for this inspiring event! Register Here.